My family and I are still counting our blessings after Hurricane Sandy wreaked her havoc in our region. We only lost power for three days, and had no real damage to our home; just a few random shingles off the roof. Needless to say, millions of others were not so lucky. 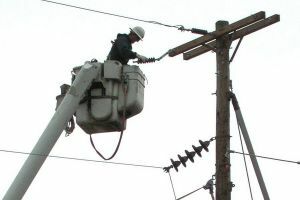 We had ample warning about the storm and, like most others in the region, made many preparations in case of a power outage. Of course there were the obvious steps we all know about, like loading up on batteries for flashlights and radios…stocking up on nonperishable food, water and firewood…filling bathtubs with water…filling our gas tanks …stowing outdoor items. To help you prepare next time, here are some beyond-the-obvious tips, gathered from my wide network of friends, coworkers and expert contributors. And please post your own additions below! * Hand-powered lights and radio, in addition to regular battery-powered ones. They’re not as bright as battery-powered, but at least you’ll never be without light or news for lack of batteries if the outage drags on. * Mylar blankets: Use them as your first layer between you and additional blankets to preserve body heat. * 24-hour candles. Generally sold for religious purposes, I prefer these to decorative candles, which put more dirt into the air. * Battery-power votives. Candles are fine during the evening, but I don’t want to risk a fire starting while we’re sleeping. We use these in our bedrooms, in the hallway and in our bathrooms. I bought mine at Bed, Bath and Beyond, but they’re widely available on-line. * Healthy foods and snacks. Power failures can put your immune system at risk, especially when there is no heat. The more protein and healthy food you eat, the stronger your body will be and better able to fend off illness. Besides items like peanut butter, protein bars and canned beans (we have an electric stove, so I only bought foods we could eat out of the package), I also bought apples and clementine oranges, which will stay fresh for a long time without refrigeration. * Battery-operated carbon monoxide detectors and smoke detectors, especially if you use a generator or fireplace. * Set up a centrally located “control center” in your house (perhaps one on every floor) where you put all of your supplies — first aid equipment, extra batteries, flashlights, radio, matches, etc. It’s hard to search for things in the dark. I also kept all of my “storm food” in shopping bags (along with disposable cups, bowls, spoons and a can opener) in case we needed to vacate quickly. * Keep printouts with phone numbers (utility companies, neighbors, local officials, etc.) at your supply station and in your car. Reading the small print in telephone books is tough even when you have power. * Protect refrigerated foods. Set your refrigerator and freezer to their coldest settings a day before the storm. Freeze a big steel pot (or numerous gallon-sized plastic freezer bags or pots) with water prior. As soon you lose power, move to the still-cold refrigerator. A large mass of ice will keep much longer than bags of ice cubes. * Remove valuables from locations that could potentially flood (remember that sump pumps will not work during a power outage). * Know who in the neighborhood has a chain saw, in case you get a tree across your driveway. * Fall-proof your home. Get stuff off the floor. Remove throw rugs. Move power cords out of the way. Set battery-operated lights near raised thresholds and other hazardous places. * Buy wet wipes – for cleaning surfaces and hands. * If/when you run out of tub water for flushing, have plenty of plastic supermarket bags or garbage bags available. When you need to use the bathroom, place one over the toilet bowl, sit down and do your business. Put that bag into a second bag, and then dispose. This method also works over a bucket, but you have to sit more carefully. * Never use a personal computer with generator power. The voltage fluctuation can cause irreparable damage. * Dressing in many thin layers will keep you warmer than fewer thick layers. Wool and synthetic layers such as fleece and capilene will keep you warm while wicking moisture away from your body. * To cook or warm up water: You can prop up a cookie tray using same-height pots or bowls, and light tea candles under it… or stock up on Sterno. When power returns… don’t rush to put away your storm supplies. If there is a lot of damage in your area, you may again lose power as repair work continues. As soon as you know power is assured, take the batteries out of the flashlights and lanterns so they don’t go bad and leak before the next storm. This entry was posted on November 20, 2012 at 11:11	and is filed under Family Preparedness, Hurricane. Tagged: 24 hour candles, battery powered votive, carbon monixide detector, fall proof home, hand-powered light, Hurricane Sandy, lose power, Mylar blanket, power outage, smoke detector. You can follow any responses to this entry through the RSS 2.0 feed. You can leave a response, or trackback from your own site.